This Italian backed pasta recipe is ideal for cheese lovers and this Italian version is made with Emmentaler, Parmigiano and Italian Fontina cheese, but there are countless combinations of cheeses that you can add according to your personal taste. 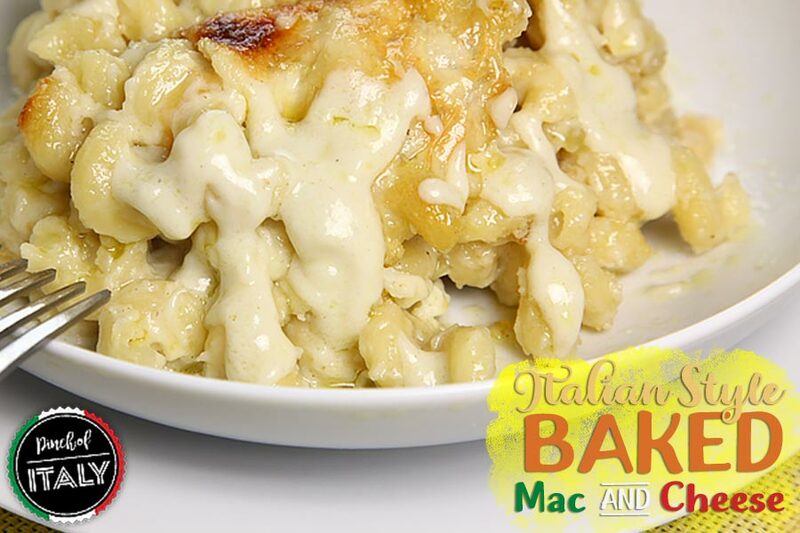 The dish consists of a timbale of pasta topped with a béchamel sauce in which cheeses such as cheddar and parmesan are melted, all is baked in the oven to create a creamy paste with a beautiful golden crust on the surface. 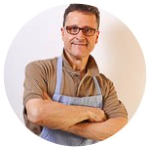 Obviously, as often happens in these types of preparations there are many recipes and variations. So adjusting only a few doses with different Italian chesses according to my taste I got creamy and tasty macaroni and cheese just as I expected them! 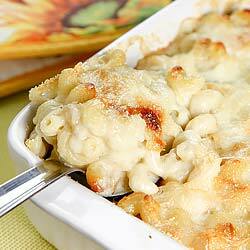 To make macaroni and cheese first remove the rind from all the cheeses. Then turn on the oven to 350°F (180°C) and put the water for pasta to boil. 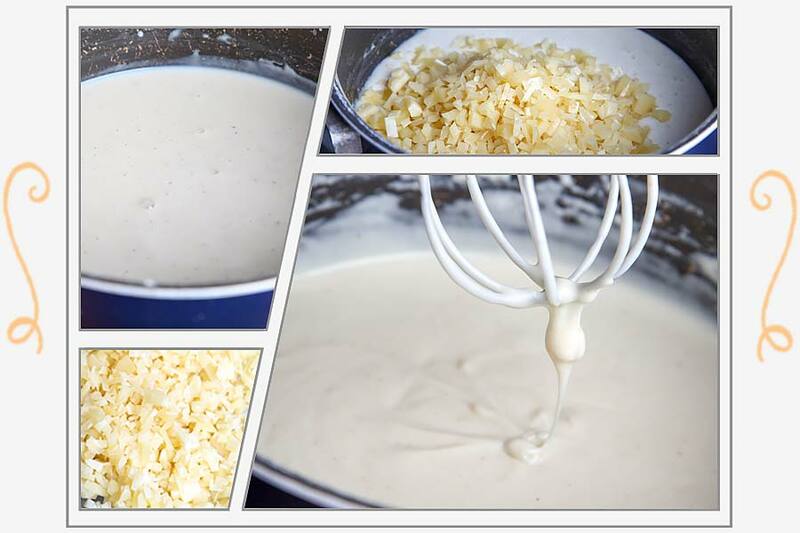 Next we have to prepare a cream of cheeses, so in a saucepan put the butter and once melted add the flour then stir and make it like a paste. Keep stirring and when the mixture begins to brown (just a little) pour the milk in the same pot, and continue stirring until you get a creamy mixture (this is called bechamel). After done you can add salt, pepper and nutmeg to your personal taste. 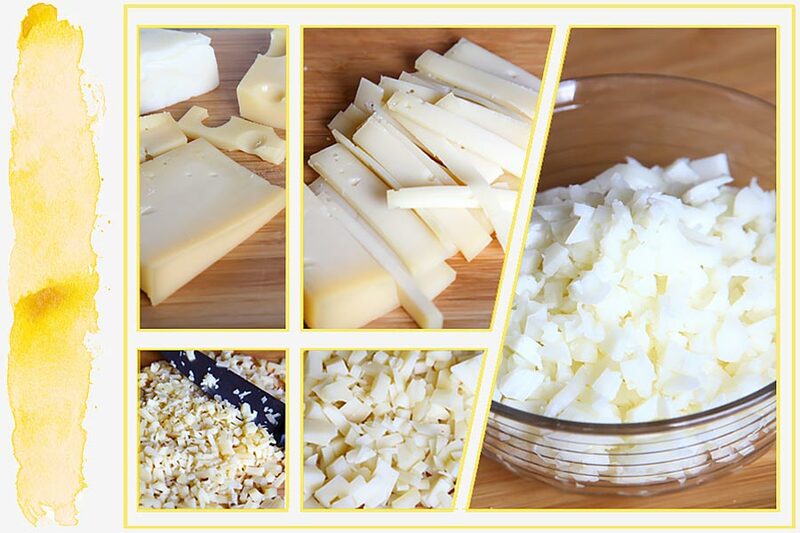 Add a part of the grated cheeses keeping aside a tablespoon of each, then stir until all ingredients are well mixed. Let it cook a few minutes until it's all melted and you have formed cheese sauce. Cook the pasta following half of the cooking time written on the package, just a few minutes are enough because the pasta must be very "al dente". Drain the pasta and bring it back in the same cooking pot so you can add the cheese sauce. 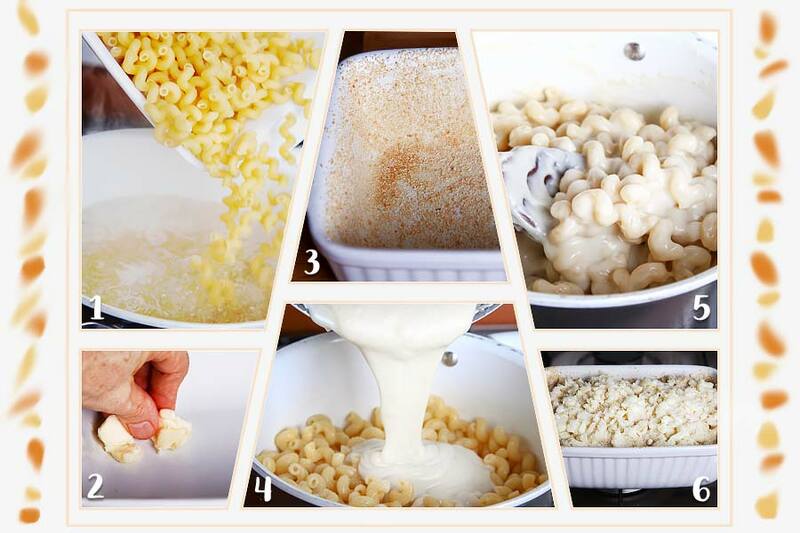 Combine the cream of cheeses to the pasta and stir well. 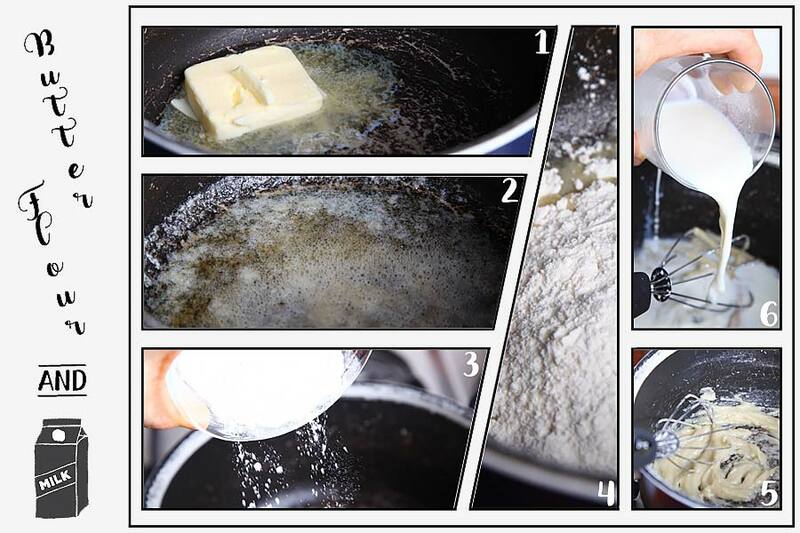 Now you must butter well a large baking casserole, and you can do this easily with a pastry brush or simply with your fingers. 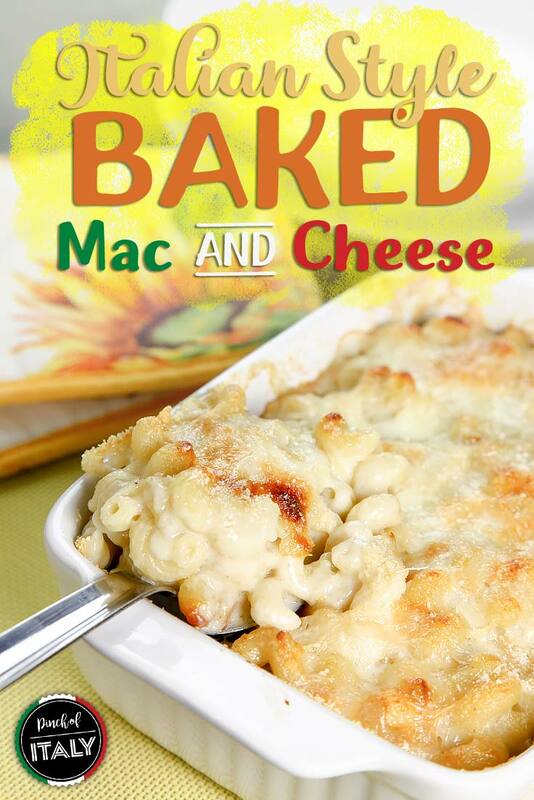 Cover the base and sides of the casserole with enough breadcrumbs. Immediately after pour the cheese and pasta in the casserole. Sprinkle the top with an handful of the cheeses that you had previously kept aside. The last thing to do is to cook for about 20 minutes at 350°F (180°C), or until the surface has acquired a golden color and the classic crust is formed. 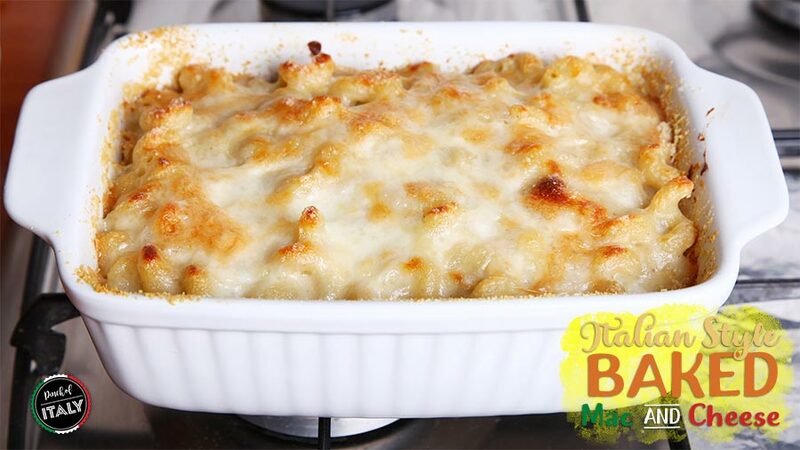 Once ready, remove the casserole from the oven and serve these Italian style baked macaroni and cheese piping hot. 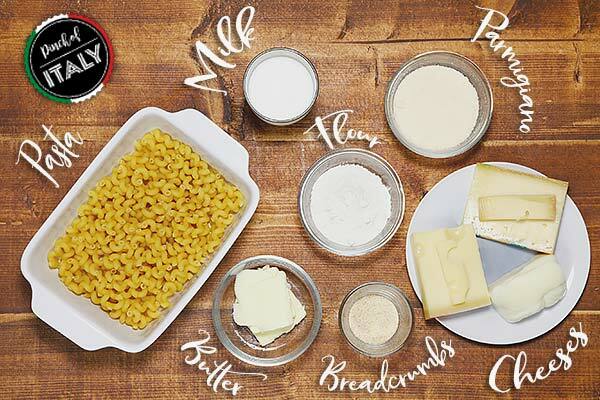 These are the 6 easy steps to make an Italian version of macaroni and cheese.